Many truck drivers are expected to change a trailer wheel, but many don’t know how. This has obvious health and safety as well as chain of responsibility (COR) implications if things go wrong. Yet there is very little formal advice out there for drivers on how to change wheels properly and safely, or for managers on what to bring to their driver’s attention. 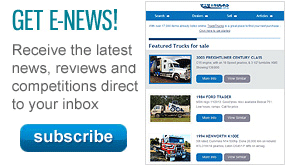 One of the few sources is the Australian Trucking Association’s (ATA) Advisory Procedure Commercial Vehicle Wheel Security, available on the internet. The advisory doesn’t have photos though, so ATN thought we would try to complement it with some of our own. 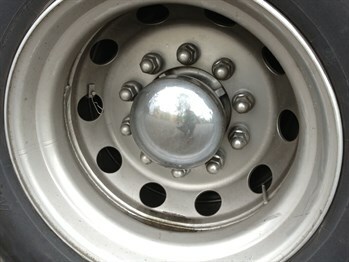 Most new trailer wheels these days are discs, be they 5, 6, 8 or 10-stud. The vast majority of 10-stud disc wheels worked on by Southern Tyre Service are ‘hub-piloted’ discs. Basically these have one set of nuts on the outside. This next section of advice relies on the advisory’s recommended tensioning sequences, which it illustrates for the different type of discs. Basically it involves starting at the top and going diagonally opposite for the next nut. Because drivers aren’t going to have an accurate torque wrench though, it gets really tricky judging just how tightly to do up the nuts. The ATA advisory has an appendix on how much lever length is needed for different manufacturer’s recommendations. 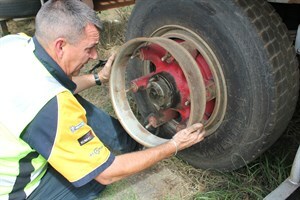 The driver then needs to check the nuts with a wheel brace 50km to 100km on. As the ATA advisory cautions, with these older style of wheels there is potential for "serious injury" from dislodging the rim clamps, which are also called wedges or dogs. In fact drivers have been killed from wedges firing off like hand grenades. Wheel nuts can now be fully removed once wedges are dislodged. 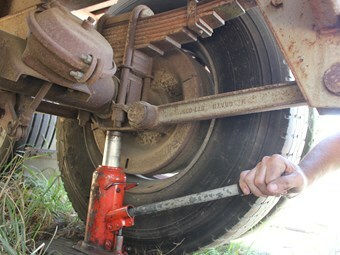 Remove the outer wheel using correct manual handling techniques. Remove the spacer band from the cast spoke using a side to side pulling motion. Using adequate wheel brace length recommendations, tighten the wheel nuts to recommended manufacturer specifications using the correct tightening sequence. Spider nuts generally don’t have to be tightened as much as discs, but they still have to be checked 50km to 100km down the road. The ATA advisory doesn’t mention it, but most old-timers will tell you to spin a spider wheel beside something straight to check that it’s running true and won’t wobble its way down the road — which can cause all sorts of problems. The catch is that the brakes to this wheel need to be off to be able to spin it, so you have to be really sure the chocks are going to hold, preferably on flat ground. 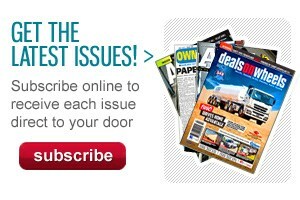 Ideally you would have someone else sitting in the driver’s seat ready to whack the brakes back on if need be. Cheney is a sales rep with Southern Tyre Service, and has been in tyres for more than 20 years, much of that time as a tyre-fitter. He has a handy piece of advice for tightening spider nuts: tap the wedges after you’ve already done the nuts up as tight as they will go, and you’ll find you get an extra bit of turn. He advises against jumping up and down on a bar to loosen tight disc nuts, having seen a bloke smash his chin on the side of a trailer after slipping off a bar.